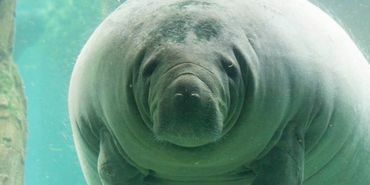 Hundreds of Manatees and Sea Turtles Are Dying in Red and Green Slime ! PLEASE SIGN ! ! Signed & Shared on FB!! Noted & signed. TY,Cher! Rick Scott sure made a living hell for the animals & people in the Florida eco-system.. Remember & look to Florida's example as to what money in politics & devastating corporate pollution does to a fragile environment. I recall that Rick Scott made it illegal to even use the phrase "climate change" or "global warming" in state business. Now, Floridians live w/ the fallout from their vote choice @ the polls. There are no jobs on a dead planet! Vote as if your life depends on it! BC, it does! Signed this morning, October 18. I previously signed, this is EXTREMELY DISTURBING!!!!! !